Moving to India - Compare International Movers & Save up to 70% ! Saving time and saving money are crucial these days. 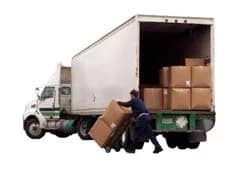 When you use Intlmovers.com, you can do both! It’s easy to use service that allows you to request up to six quotes from international moving companies for Moving to India. Comparing the responses you receive will help you ensure that you make an informed decision about the best company to suit your needs, and your budget! Submitting a request is simple. Just select where you are moving from and to from the drop down menu. Complete the short request form and your details will be sent directly to up to six companies who match your criteria. There is no need to any searching around because they will reply to you directly to arrange a moving quote that is specific to your international move to India. This service saves you time and money! Helps you get the best value for your money! International removers in India are logistical specialists. Their main business goal is ensuring safe, cost effective and efficient movement of your goods to and from locations all across India. They take care of that your possessions are well looked after. They also take care that all the correct procedures are undertake to avoid any administrative or regulation delays.